Haven Cala Gran near Blackpool. 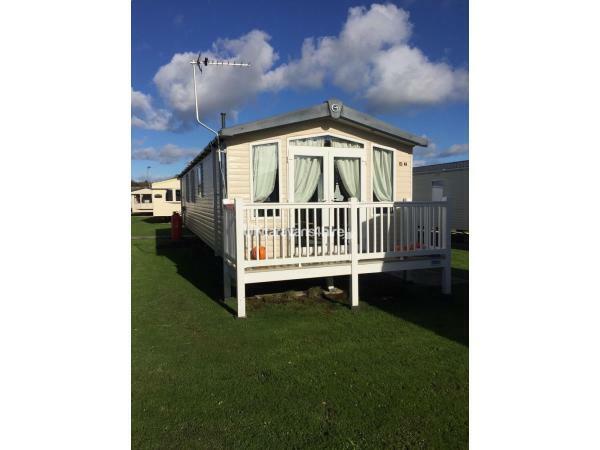 Our beautiful caravan the Swift Bordeaux Prestige has 3 bedrooms that sleeps up to 6 people. 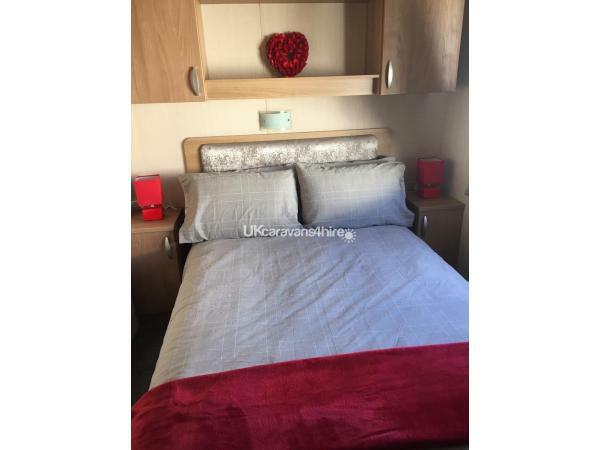 The master bedroom has en suite with fitted wardrobes and television, the other bedrooms are single rooms that's sleeps 2 per room, both have fitted wardrobes. All bedding is provided. 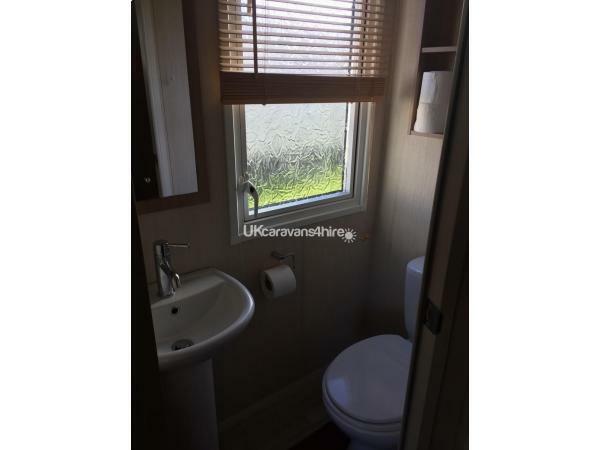 The caravan has gas central heating and is double glazed through out. 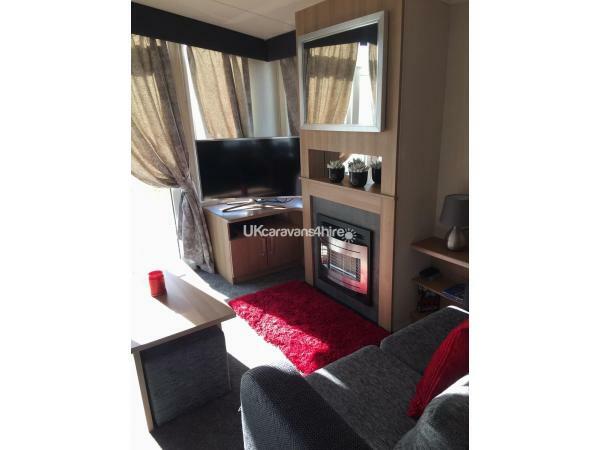 The living area has 40" TV with DVD player and a good selection of DVD's. There is an xbox 360 with games plus a radio with CD player. 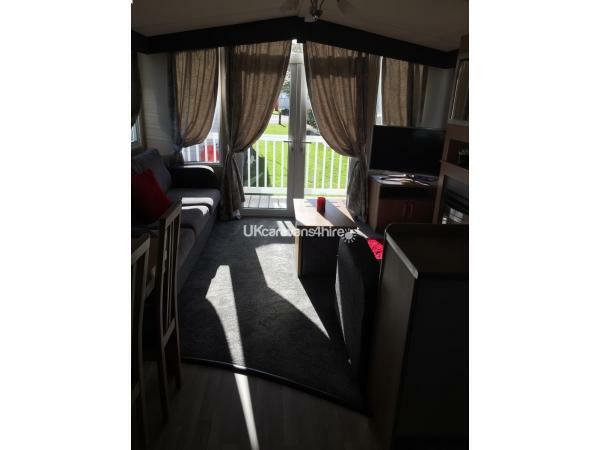 Patio doors lead to a veranda with bistro table and chairs. The dining area has a table with 6 chairs. 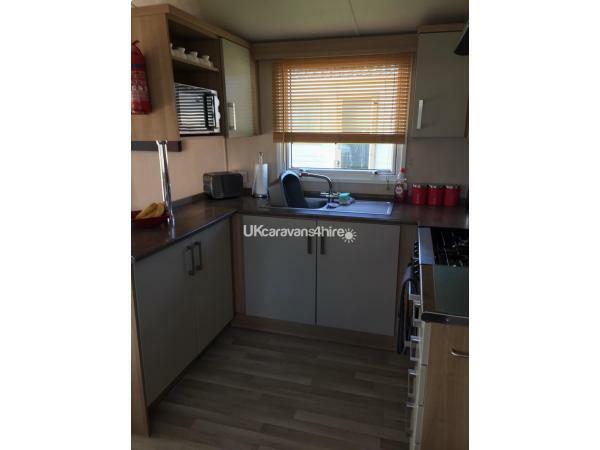 The kitchen area is well equipped with large fridge freezer, gas cooker with hob, microwave, all pot pans and utensils plus iron and ironing board. 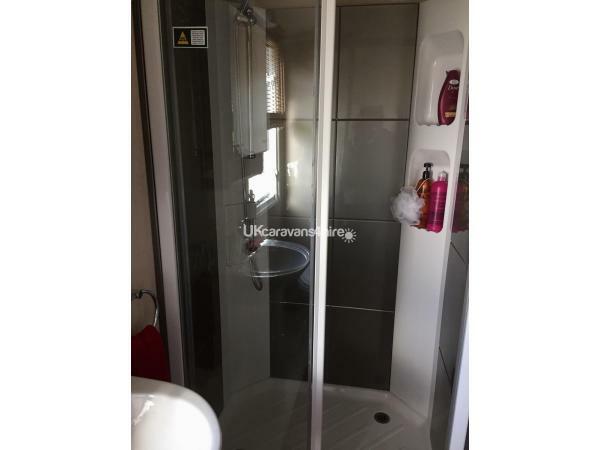 Bathroom is equipped with shower, toilet and wash basin. 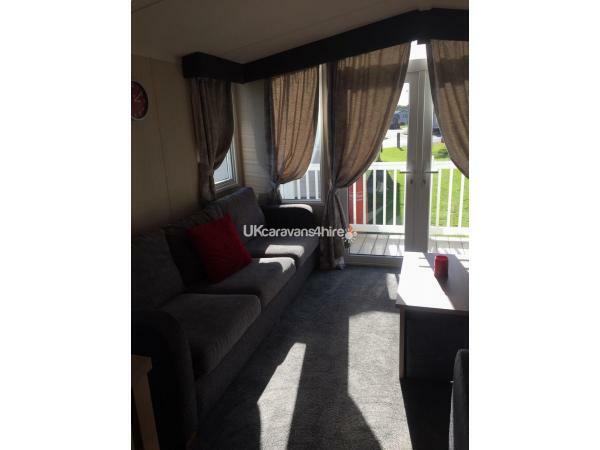 Outside the caravan there is a patio area with table, chairs and bbq. As an extra we have added board games and reading books. Taking bookings for 2019. 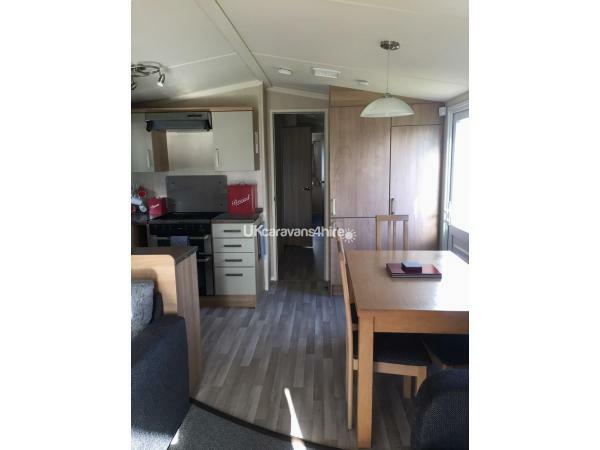 We ask for a £75 security and cleaning deposit, this is refunded when caravan is left as found. 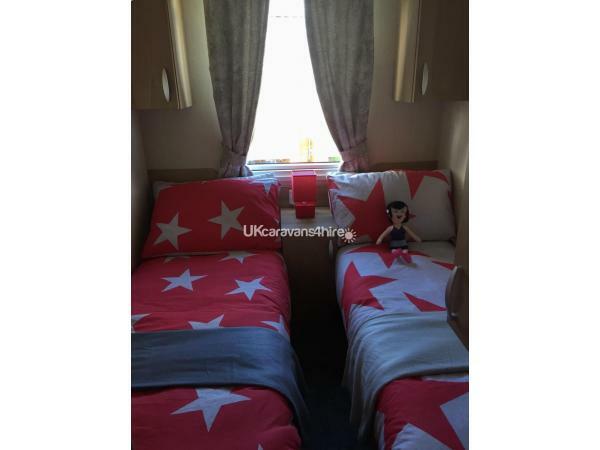 Thank you for taking time to look at our caravan. 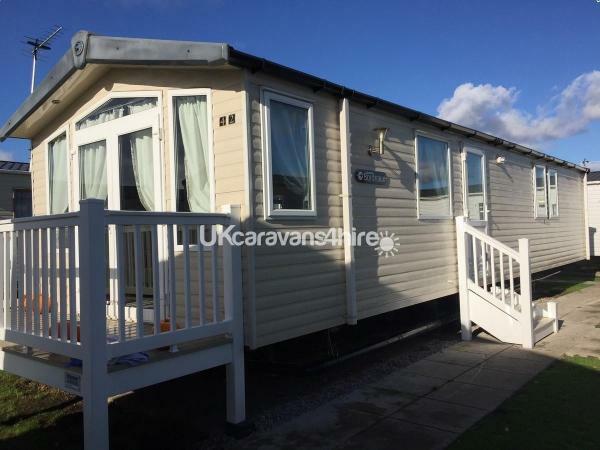 Gorgeous caravan. 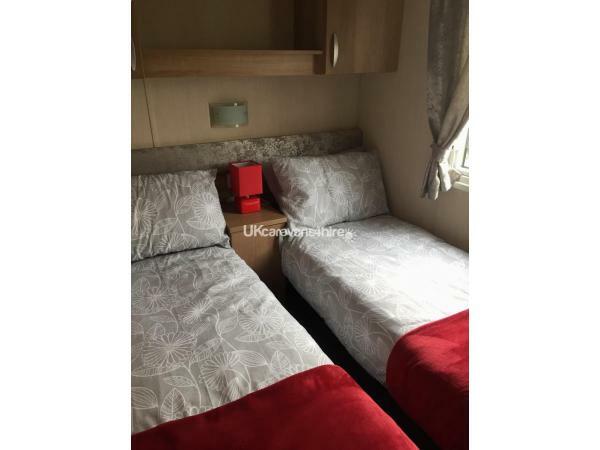 Immaculate interior with modern decor and excellent facilities. Close to the site amenities and close parking. Cannot wait to visit again!